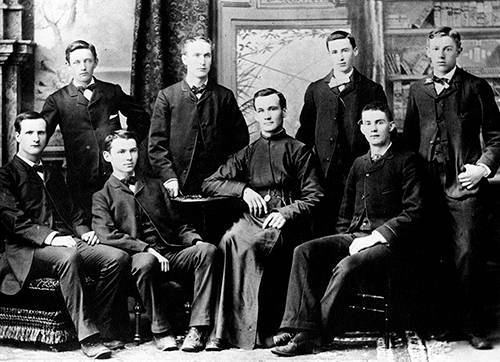 The legacy of University of Detroit Mercy, Michigan's oldest and largest Catholic university, began over 139 years ago. Our founders, the Society of Jesus (Jesuits) and the Religious Sisters of Mercy, have always believed in the power of education to change people and, through them, the world. To that end, each order began colleges to foster the intellectual, social, spiritual and moral development of individuals. The Society of Jesus, an order known for excellence in education, has a history in Detroit that dates to the 1600s. In 1877, the Jesuits, at the invitation of Bishop Caspar Henry Borgess of Detroit, established Detroit College. Located on the bustling corner of Jefferson Avenue, the college expanded into the University of Detroit. In 1927, under the guidance of Fr. John P. McNichols, the University moved many of its programs to a sprawling campus at Livernois and Six Mile Road (McNichols Road). 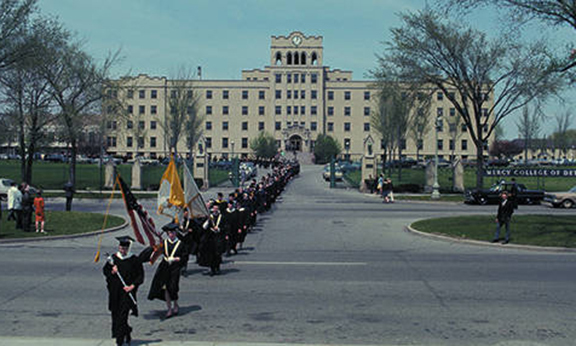 In 1940, the Religious Sisters of Mercy, headed by Mother Mary Carmelita Manning, R.S.M., established their Detroit Province at Southfield and West Outer Drive. Mercy College, using the 1934 Charter of Mercy College Nursing, opened its doors in 1941 to prepare young women for careers in nursing and teaching so that they might contribute intelligently and effectively to the welfare of society. Over the years, it expanded into a comprehensive coeducational liberal arts college. Both the Jesuits and the Sisters of Mercy established their local colleges to improve the lives of men and women through higher education. They also believed that this education should occur in Detroit, a growing urban center. Here, students would learn in a dynamic urban community and gain valuable experience that only a major metropolitan area could offer. At the same time, Detroit and the region would benefit from the talents and skill of graduates. 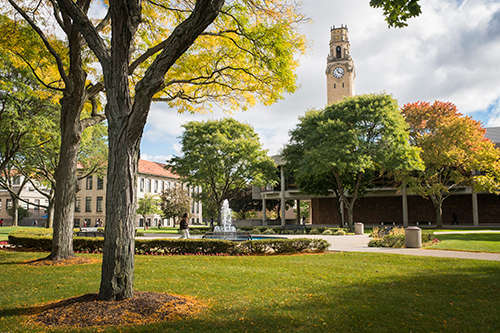 In 1990, the University of Detroit and Mercy College of Detroit combined their resources and operations in a consolidated institution with the same ongoing commitments. This consolidation has permitted the University to both maximize and expand academic effectiveness, while improving efficiencies in administration. This consolidation has been widely recognized as an effective, creative response to the challenges that face private higher education. 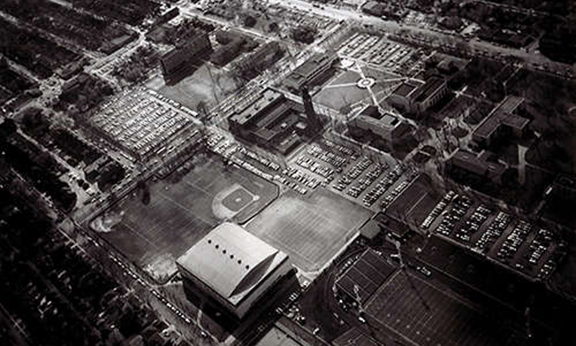 This innovative union created University of Detroit Mercy and a new way to carry forth the legacy.